I wanted to do something a bit more special with my nails this week for a shoot I had on Saturday (I can't wait to show you all the photos). I'm so happy with how these turned out! I finally perfected this gradient technique and added a new pink and blue confetti polish that I bought recently from Primark. Chuck on a pile of rings and I'm ready to go! 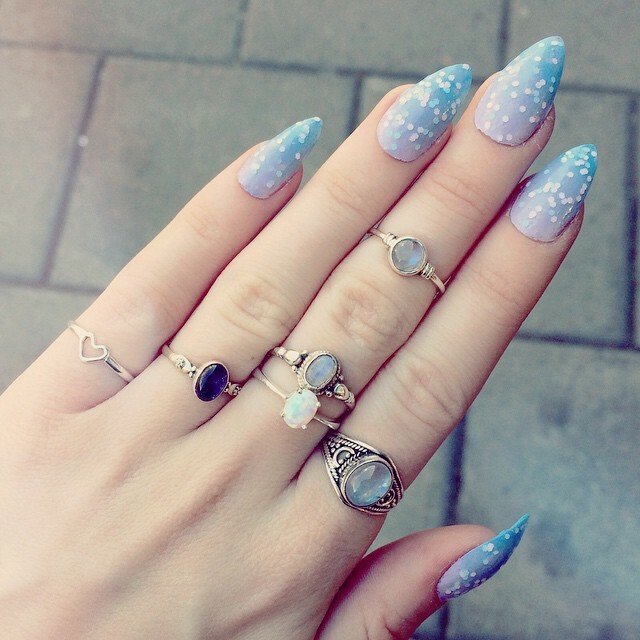 Beautiful nails *-* I want them too!